I just inherited this wheelbarrow air compressor assemble by RK machinery Inc. in Canada which is no longer in business. The pump looks a lot like an Ingersoll Rand 4000 compressor unit. The unit is about 8 gallons and provided about 125 psi. 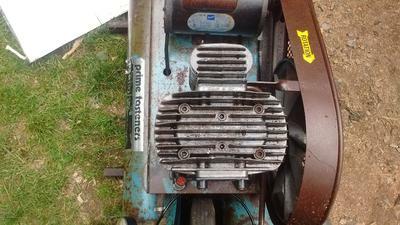 It turns off a 2hp electric motor made by Doerr. 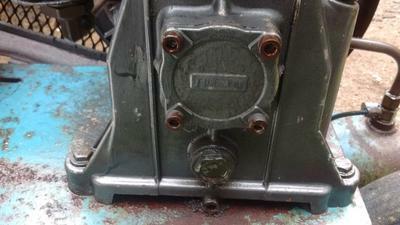 The air compressor pump as a number embossed on the side plate which is 3 EN 23836. The body of the pump is made of cast aluminum and likely no more that 15 years old. Its one of the many different iterations of ABAC throw away aluminum compressors used by many different companies over the years. 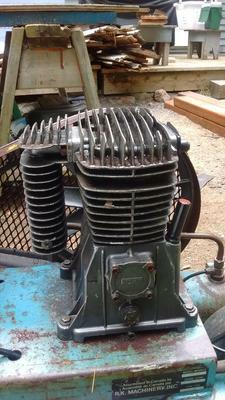 Hello Chris… interesting thread about your Hayward Hallett air compressor. I felt it deserved it’s own page – and that page is here. New comments can be added on the new page.